Welcome to Crowne Plaza London - Shoreditch - London`s newest and most exciting contemporary luxury hotel. Proudly standing in the middle of Shoreditch High Street, neighbouring Bishopsgate, the heart of the financial capital of Europe. 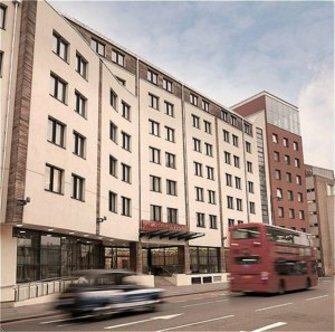 The Crowne Plaza Hotel London - Shoreditch is just a few minutes from Liverpool Street, and just 5 stops on the underground from London`s famous Oxford Street. The Crowne Plaza London - Shoreditch is a contemporary modern hotel in London, beautifully decorated, modern, stylish and in an extremely popular location with fashionable bars and restaurants proving an ideal base for both the business and leisure traveller. Its unique features include 196 luxurious bedrooms with a contemporary feel, furnished with comfort beds and relaxing leather armchairs. The business areas in the Crowne Plaza London Shoreditch are self contained, and very impressive. Crowne Plaza Shoreditch boasts an impressive rooftop Globe restaurant with a relaxing cocktail lounge. The Fitness Club with Sauna is complimentary to all hotel guests and offers a range of cardio-vascular equipment. For those on business the hotel can provide well-equipped conference rooms with stunning views.